Brake Repair and Service | German Sport, Inc. Brake repair Walnut Creek customers trust to keep them stopping at a moments notice. Auto maintenance is just another important aspect of being a vehicle owner. Along with routine oil changes, your vehicle’s brakes need to be serviced as well. 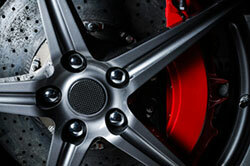 Brake repair in the Walnut Creek area is best left to the hands of the auto repair specialists at German Sport. Brakes will wear down and when they do, they will start to squeak and this is the first sign that you need a replacement. Trusting your vehicle’s auto maintenance and auto repair needs with just anyone can result in the job not getting done properly and costing you extra. You can rest assure that your car is always in professional hands with us. 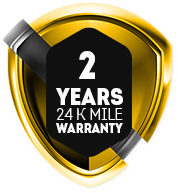 We have been in the auto maintenance and auto repair business since 1986. Our team is dedicated to offering top of the line brake repair, oil changes, engine repair, and more to the Walnut Creek area. We realize that your car is an important aspect of your daily life and making sure that it’s working properly is essential. We’re known as your independent dealership alternative because we offer a full line of services at affordable rates. Contact German Sport today to schedule your appointment.